Glee: Where Do We Go From Here? This just in: Fox renewed Glee for two more seasons. That’s right not one, but TWO. Considering how the ratings the past few seasons have been consistently dropping, that decision comes as a pretty big surprise. But then again, this is the same network that’s beating us to death with twelve seasons of American Idol and nine seasons of Bones – both good shows at one time, but anymore just feel stale. So where does Glee go from here? The current season, which started out promising by sending most of the original cast members off in different directions to college, has floundered plot-wise. We were introduced to new characters this year at McKinley High, but as it turns out, they weren’t really all that different from our old cast. Every year, it’s the same recycled plot: prepare for sectionals, regionals, finals and then on to nationals…if they make it that far. Someone’s always on a soapbox about being bullied, gay or not fitting in with everyone else. Mr. Schuester and Mrs. Pillsbury are on-again, off-again and back on-again with their relationship. Sue Sylvester still has it in for the Glee Club. The bottom line: Ryan Murphy has written his show into a corner that’s going to be very hard to get back out of. 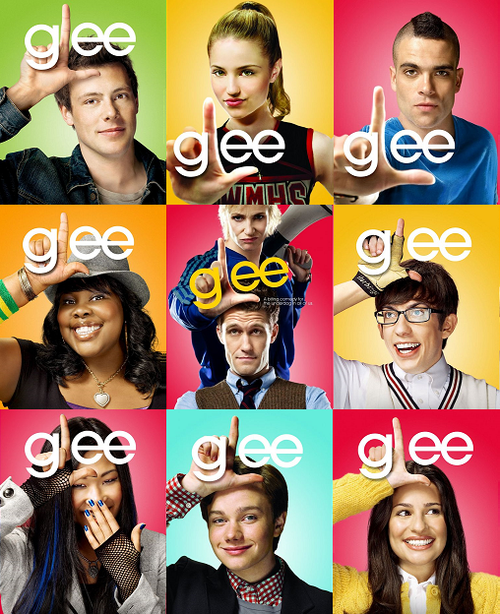 Leave high school behind and focus on the original cast as they move past Glee Club and go off to college. Switching back and forth between Rachel and Kurt in New York and the rest of the gang that graduated (but for some odd reason still seem to hang around the high school) makes for a very disjointed plot. Consider fast-forwarding a few years to speed the show up a bit. It worked for One Tree Hill and Desperate Housewives, and it could work for Glee. Have an end game and start creating story arcs that lead up to that. Glee is the type of show that suffers at the hand of its own creativity. When it first aired, there was nothing else like it on television. It was fun, fresh and for two seasons, people loved rooting for New Directions at show choir competitions. But now we’re in season 4 and as previously mentioned, we’re still rehashing the same plot over and over. Keep the original cast and ditch the newcomers. They’re basically less likeable versions of the old cast anyway. Have the rest of the originals that are still at McKinley High graduate at the end of this season and develop story lines where their characters grow and develop. The audience is growing up with them, so this should be a natural progression. Mr. Schuester should marry Ms. Pillsbury, hand over the Glee Club reigns to a newcomer and take an amazing job in NY where he can mentor Rachel and Kurt and any of the others who might end up in NY for in college. Since Glee still pulls in around 8 million viewers per episode, it’s probably wishful thinking that the network will decide on season six as the last. But if the writers don’t find ways to creatively move the show forward, this viewer is definitely going to tune out and a lot of other people are probably going to do the same.